Confidence has always been a problem for me. To be more specific, the lack thereof. I’ve always had it in me, that hesitation to speak up in public, or the critical squint when I see myself in the mirror. It’s the constant nagging in the back of my mind, telling me I’m not quite good enough to fill my own shoes. When I was younger, I thought it was something I’d eventually just grow out of, like a nervous tick or bad habit that gradually fades with age. But, as it turns out, confidence is something you not only have to earn, it’s something you have to own. The earning takes a hell of a lot of hard work and talent. The owning means recognizing you deserve it – that’s where I have trouble. It’s the embarrassment that makes things worse, the silent shame that inevitably comes with a lack of confidence, and the inner anger at yourself for not having what it takes to walk through a hallway with your eyes facing forward rather than at the ground. Cooking, as it turns out, is a skill of pure confidence. You have to believe in yourself and your abilities in order to express yourself in the kitchen. So it’s kind of ironic, and fateful, that I find myself drawn to it. When I started cooking, I was so awkward, following every instruction of my cookbook to a tee. I had no faith in myself. Gradually, I strayed from the book, adding my own ingredients or substitutions and discovering which flavours I enjoyed and which ones I didn’t. My confidence grew, and, over time, that confidence started to trickle into other aspects of my life. I wish I could say that I’m fixed now, that I no longer doubt myself at every corner in my life, or even look myself in the mirror now without focusing on a blemish or two. But I’m better. I know that doesn’t sound like a lot, but to me, it’s the difference between looking away from a stranger and looking them in the eye, or something as simple as making these words I’m writing now public or stashing them in a folder somewhere on my laptop. 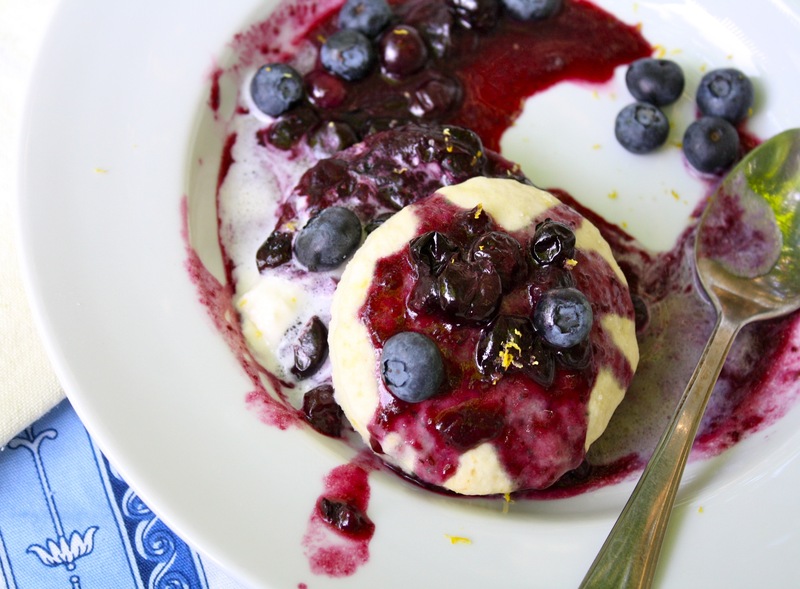 This blueberry shortcake recipe was, as silly as it sounds, a milestone in my confidence as a cook. While the biscuit is adapted from a recipe I’ve been using for a while now, the sauce is entirely my creation. It may be simple, but it’s mine, and that’s what makes it beautiful. The idea for it sprung from my latest culinary obsession: lemons. While the tart citrus is great for livening up everything from chicken to peas and beans, I find it pairs beautifully with blueberries. I dare say it’s replaced strawberry shortcake as my go-to summer dessert. In a medium bowl, blend whipping cream, vanilla and sugar with a hand mixer until thickened, and stiff peaks form. Stir in lemon zest. Cover with plastic wrap and refrigerate for at least 20 minutes. Form a well in the middle of the bowl by pushing mixture out toward the sides. Gradually add the half-and-half, stirring between each addition, until it forms a mass. Gather into a ball. Lightly flour a cutting board, then transfer dough onto board and knead lightly. Roll out dough to 3/4-inch thick. Using a floured round cookie cutter or the opening of a small glass, cut out circles. Place biscuits close together on a baking sheet (about 1 cm apart) and bake for 8 – 12 minutes, or until fluffy and slightly golden on top. Let cool for 15 minutes. Meanwhile, in a small saucepan, melt butter. Add blueberries, sugar and lemon juice and stir to combine. Heat on medium, stirring often, until berries darken and begin to plump, about 4 minutes. With a potato masher, squish berries until almost completely mashed. Stir in lemon zest and water, 1 tablespoon at a time. Cook for 10 minutes, stirring frequently, until sauce thickens. Taste for sweetness/tartness, and adjust sugar and lemon juice accordingly. When ready to serve, cut biscuits in half crosswise. Spoon blueberry sauce on bottom of biscuit, add a dollop of whipped cream, and replace top half. Top with additional sauce and whipped cream. 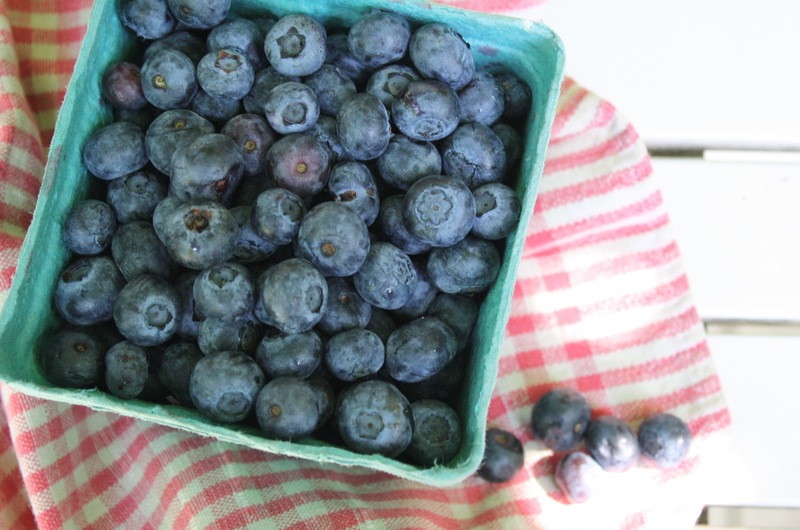 Serve with fresh blueberries and lemon zest sprinkled on top. Your blog is lovely and a joy to read, and this dessert looks fantastic! First, thanks for the great recipe – I’ll be trying it. And most importantly thanks for sharing your experience in dealing with the dreaded confidence issue. I think everyone struggles with this throughout their lives and I for one have had to work hard to keep it in check. Love the honesty. Lovely photos, recipe and post. At your suggestion, I’ll have to keep this recipe handy as a stand-in for my summertime favourite, strawberry shortcake. Any post-baby visitors are in for a sweet-tart treat! Aw, thanks Anna! I expect photos of you in my inbox in your post-baby beauty, clutching your little girl and holding plated food, as per our discussion. I’m going to miss your infectious laughter in the office, but enjoy your year!